Need a strong gate latch for your stock yard? Our galvanised screw-in oval ring latches are easy to use and secure. In this video we show you have to install a screw-in oval ring latch. Please note: Even though it shows a ring latch, the method is the same. 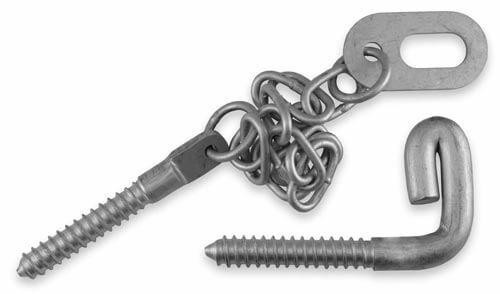 Our screw-in oval ring latch has a 16mm thread, rather than the 12mm thread mentioned in the video. This means you will need to use a 14mm auger instead.